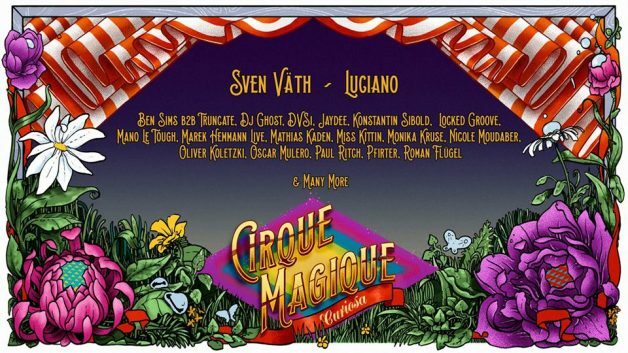 The spectacle that is Cirque Magique returns for its fourth edition 3 – 5 August at Ledegem, Belgium. A unique celebration of magic, frisky clowns, circus culture and wonderful creatures soundtracked by House and Techno’s finest, including Sven Väth, Luciano, Ben Sims b2b Truncate, DVS1, Locked Groove, Mano Le Tough, Nicole Moudaber, Oliver Koletzki, Oscar Mulero, Paul Ritch, Roman Flügel, and tons more. Cirque Magique is an immersive world featuring a mysterious Imaginarium stage, the theatrical Circodrome, and a romantic Kaleidoscope flirting with your wildest dreams, each decorated by South-Africa’s Artescape Collective.